The MPRO Collection delivers on function, style and quality for a look that encapsulates a modern elegance that’s second to none. 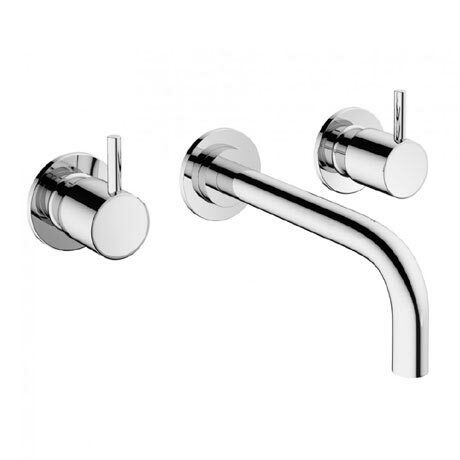 This stunning wall mounted 3 hole basin mixer features a twin lever design with a ceramic disc cartridge and is fitted with a water flow regulator as standard that makes it water efficient. Manufactured from brass and finished in a high shine of chrome that beautifully encapsulates modern elegance.